Are you considering renting a vehicle in the near future? If so, then congrats, but there are some things you shouldn’t do with it. Below are the top five things not to use your rental vehicle as. <br /><br /><strong>1. Off-Roading</strong>- You should not use your rental vehicle as off-roading entertainment. In other words, don’t rent a vehicle and take it out into the woods and drive it around the dirt and mud, even if you rented a four-wheel drive jeep. The last thing you want is to ruin the vehicle and be liable to pay for it. <br /><br /><strong>2. Storage</strong>- All too often people buy a vehicle and it somehow becomes storage space for all kinds of belongings. This is fine because you own the vehicle, but don’t do it if you rent a vehicle. If you use your rental vehicle as storage space, then you could end up forgetting to remove some of your belongings when the time comes to return the vehicle. <br /><br /><strong>3. Main Form Of Transportation</strong>- You might not own a car, so you may decide to rent a car. That’s fine, but you don’t want to make your rental vehicle the main transportation you have. This is because you could end up spending more money in the long-run. <br /><br /><strong>4. As A Taxi</strong>- Don’t rent a vehicle and use it as a taxi. There’s various reasons for this, with one of them being that you could end up putting more miles than you’d like on the vehicle. Not only that, but the more you drive the vehicle around, the higher your chances are of being involved in even a minor accident. <br /><br /><strong>5. Camping Vehicle</strong>- You might be tempted to go on a road trip and use your rental vehicle to get you where you need to go. The problem with this is you run various risks, and the end result could be your rental car is left damaged or worse, stolen. If you plan on doing a cross-country trip, then do it the right way and rent a camper or stay in hotels/motels along your route. <br /><br />There are many other things you shouldn’t use your rental vehicle as. However, the ones discussed above are the top ones. If you decide to rent a vehicle, then make sure you don’t use it as any of the above things because you want to get the most from it and you don’t want to damage the vehicle. Cebu is an amazing island that you can have fun, have a relaxing weekend, watch the sun rise or set and most of all unwind. While in Cebu there are a number of activities that you may consider participating in. These are inclusive of mountain climbing that will give you a nice view of the island below you, swimming with white sharks, enjoy the beaches, see beautiful waterfalls, go back in history by visiting historic sites, and most definitely go for road trips. Cebu is a fairly small island making greatly reducing the chances of you getting lost. But is you do Cebuano are friendly people and they will sure give you directions. Below are tips on how to prepare for a weekend car trip in Cebu. First and foremost, it is important to have a map with you. The map will ensure that you do not get lost and if you do it will be simple to trace your way back. Some online research about the places you want to visit can come in handy. It is also important to ensure that you have cellular security. In this way you can get in touch with your family and friends if need be. You can also take pictures of the different beautiful features you come across using your cell phone. You also need to have checked your car to ensure that it is in a good condition. You wouldn’t want to have a mechanical hiccup when all you want to do is have a peaceful weekend with family and friends. You should also ensure that the car is clean before and during the trip. Ensure that you carry enough food and snacks in your car. This can be particularly important if you have your kids with you on the road trip. It is also important to ensure that you have carried enough clothing for the trip. It is also essential to ensure that you load is light as possible. When taking a road trip in Cebu with friends divide the roles amongst yourselves to ensure that everyone gets something to do. You can decide on who is to drive for what distance, who should navigate, plan meals and select sites to pitch your tents if need be. You should also ensure that you carry along your documentation like identification cards, driving licenses and insurance cards. Over the past few years, traffic in Cebu, Phillippines has been getting progressively worse. Getting through the city is more challenging than ever, with traffic-related delays becoming more and more commonplace. <br /><br />There are a number of reasons why the traffic problems exist. Buses and taxis often make stops in undesignated places, bringing the traffic behind them grinding to a halt. Add to that motorcycles that weave in and out of traffic, cars that are parked illegally alongside the roads, seemingly never ending road construction, and drivers who don’t follow traffic laws and you have a recipe for a traffic nightmare.<br /><br />Fortunately, with some careful planning, you can avoid the worst of the traffic problems, making it easier to get wherever you need to go. Here are some tips that can help:<br /><br /><strong>1. Look for alternate routes.</strong> If you commute the same way each day, spend some time looking for some different routes you could take that would get you to the same destination. Taking side streets or roads that are a bit off the beaten path can reduce the amount of traffic you have to deal with. Even if these roads take you slightly out of your way, you may still find that they get you to your destination more quickly than a road with heavier traffic, simply for the fact that you won’t have to deal with delays.<br /><br /><strong>2. Use a GPS device that provides traffic details.</strong> Many of today’s GPS devices are capable of providing current traffic information. This can help you spot potential problems on the roadway ahead so that you can take a different route if needed.<br /><br /><strong>3. Try to travel during the least busy times of the day.</strong> While it may not always be possible, if you can plan your journeys during times when there is less traffic on the road, you won’t have to deal with as many delays. If you work in Cebu, you may even want to ask your boss if you can change your schedule to a different time of day so that you can spend less time commuting to and from work.<br /><br /><strong>4. Ride your bike instead.</strong> Consider getting rid of your car and riding your bike wherever you need to go. That way, not only can you avoid getting stuck in traffic but you can also get a great workout.<br /><br />These tips should help you avoid the worst of the traffic in Cebu, Phillippines. Renting a car to drive yourself around Cebu for the first time can be tricky for many. This is not because you will be new to the area, but due to the fact that Cebu is 2nd most populous metropolis in the Philippines. You also have to find a car rental company willing to rent you a car without their drivers. As tricky as it may seem, there are numerous self-drive car rentals that you could hire and use it for a day or two. The best thing about self-drive cars for hire is that you never have to call a taxi or use the public means every time you want to go out or for shopping. It is also considerably much safer to drive yourself for as long as you know your way around town. Discussed below are a few tips and factors to consider if you plan to hire a self-drive car in the Philippines. This should be done days before jetting into the city. Although there may be numerous car rental companies in the city, it would be advisable to compare rates from different companies. Most of these companies have online portfolios, meaning you can log into their website and check out which cars they have, and how much they charge for self-drive rentals. Tip #2: Contact the preferred car rental company early and make a booking. Just as you would do with a hotel room, it’s advisable to contact the preferred car rental company and make a booking for the same. Although most of the bookings can be made online, try to discuss the terms via phone or email with the company representatives to iron out everything, including the type of car you need. It would also be advisable to hire the right car for the job. If you plan on camping or off-roading, it would then be best to hire a four-wheel drive. If you however will be driving around town, a sedan or a saloon car will do the job. Cebu receives thousands of tourists and business executives every day, most of whom use these car rentals to navigate around the town. Making an early booking is therefore recommended. Tip #3: Check the condition of the car before picking it. This is very important when renting a self-drive car. The company will expect the car to be in the same condition as it was when you picked it. This is the reason you should check its condition and take note of any dents or other forms of damage on the car. Should you be involved in an accident, your insurance cover should be able to cover the damages; otherwise, you will pay for it in cash. Tip #4: Be wary of hidden charges. Most of the car rental companies in Cebu will charge extra fees for drivers under the age of 25. If you are under 25 years, you may want to know of other hidden charges that come with driving yourself. In addition to this, the company may charge a certain amount for distance covered when driving the car. Many of these cars have a GPS system and a tracking system that records everything. Tip #5: Driving restrictions and returning the car. Car rental companies in Cebu are very strict especially when it comes to self-drive rentals. Get to know whatever driving restrictions the company may have. This includes a valid driving license, driving on pavements or even going beyond the agreed distance. Returning the car can be tricky at times especially if you want to catch your flight in time. Nonetheless, some companies allow their clients to leave the car at the airport’s parking lot, but at a small fee. Whether you are coming to Cebu for a vacation or a business trip, the best way to enjoy every moment here is by driving yourself. 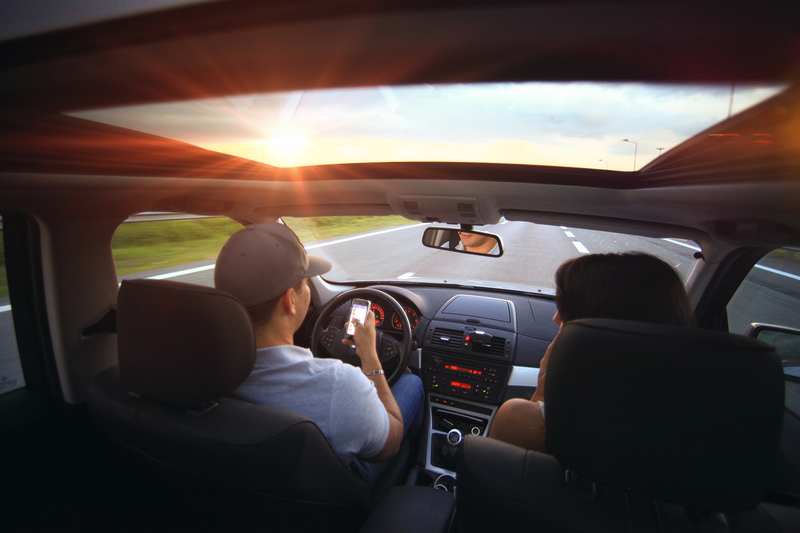 With car rental companies ensuring their cars are fitted with a GPS system, you can drive to almost any corner of the island. You however need to stay safe when driving alone by avoiding to drive at night, keeping the doors locked when in traffic, and knowing the maximum speed limits here among other factors. Find out our SELF DRIVE car rental rates here.